Even in this 21st century, some people do think that marriage is the settlement stage for girls. Some people feel like their responsibility will be over if they marry off their daughter/s. Violence on women is increasing these days. Girl children are vulnerable to stalking, sexual abuse, physical abuse etc. So, some parents are opting for marrying off their children instead of sending them for education out of fear for their safety. Some people and communities do not have awareness on the consequences of child marriage. Few people are arranging their daughter’s marriage by force due to their unwillingness to accept her relationship with a boy they do not approve of. Poverty forces people to migrate for work. In such cases, they prefer to marry off their girl children rather than leaving them to live on their own. Pregnancy in early age is highly risky for both mother and the child. Maternal mortality rate is higher in case of teenage pregnancies. When a girl child got married, she will be dropped out of school in most cases. They may not be happy in their relationship because the marriage will be forced in most cases, even if it is with consent, the young children are incapable of taking right decision. Child bride faces emotional trauma due to separation from their family and friends at an early age. They are more vulnerable to domestic violence, partly because they will not have enough physical and mental strength to defend herself. And she may not have awareness on her rights. Empowering girl children and their parents can solve the problem to a great extent. Severe punishments for those who abet the marriage will act as deterrent. Awareness programs at a large scale can prevent child marriages. Huge investments on girl children’s education will empower them. Scholarships will encourage their parents to send them to school. Community leaders should be joined in the movement against child marriages, because they can easily influence their people. Improving safety for women and girl children will encourage their parents to send them out for education. Steps should be taken to bring societal change in treating girl and boy children equally. 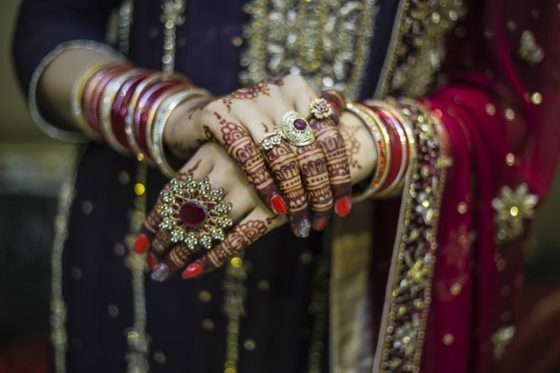 Child marriage was made illegal in India in 1929 by ‘Child Marriage Restraint Act‘. ‘The Prohibition of Child Marriage Act‘, 2006 replaced the previous act and stricter punishments and guidelines were issued. Under this act, those who arrange child marriage will be punished and the child will be provided maintenance and residence. Government of India appointed ‘Child marriage prohibition officers‘ to prevent child marriages and to sensitize communities over this issue. Child marriage can be made void if the minor files a petition within 2 years after becoming major. Poverty coupled with illiteracy is the biggest cause of child marriages. Empowering people through awareness programs and bringing societal change will help in eradicating the menace of child marriages. I think child marriage is mainly due to illatercy of parents .it is very serious issue . Government launched my law against it but these are not much successful. Mostly it happend in rular areas so goverenment should start awareness program on large scale in rular areas then may it will reduce. According to me in 21st century child marriage it’s a shameful incident. It’s required strong awareness of rural areas parents. Actually poor people they want to get relief to get their daughter’s marriage forcibly because of day to day family expenses lesser. But life is very long ,in a very early age they get married and their whole life suffer may be their consent but in the tender age they are not able to take decision. May be their life partner is not good they have to suffer. In a very early age they pregnant and their life risk for mother and child. If they go to school , they take their education ,they will get the job , they will get financial stability, they will stand their own feet, they don’t need to depend on others.Then they can live as per their choice.In a democratic country everybody has right to stay happyly.